With so many types of garage doors available at 31-W Insulation, you’re sure to find one that’s just the right fit for your Cincinnati, Ohio, area residence. For starters, you’ll be able to choose either steel, solid wood, or other heavy duty materials for your door. Once you’ve selected the type of door you would like, you can customize several aspects of your door, including the colors, finishes, the door style, the window panels, and decorative hardware. All of these are available in stylish and eye-catching options, so that you can have a brand-new garage door that’ll give your home some flair. You won’t have to go it alone when selecting your garage door. One of our friendly associates can meet with you at your own home for your convenience. They’ll review the different garage doors we offer and make recommendations based on your functional and aesthetic needs. Then, we’ll order your garage door, and a team of our factory-trained professionals will install it. For your peace of mind, your garage door will be backed by a generous manufacturer’s warranty. 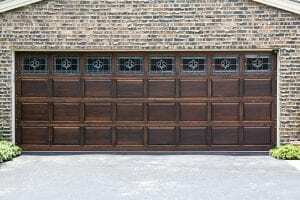 To find out more about the many types of garage doors that we have available for residents throughout the Cincinnati, OH, area, contact 31-W Insulation today.